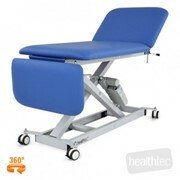 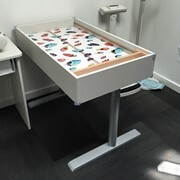 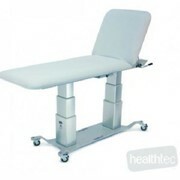 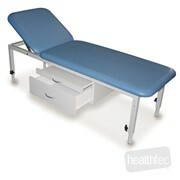 The Healthtec Stationary Examination Table is ideal for general treatments or examination, it will take the rigours of heavy duty use in any practice. 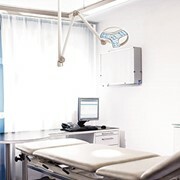 Designed to help keep the working area free from clutter our fixed height metal plinths are made to take the rigours of heavy duty everyday use in any practice. 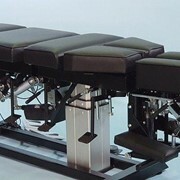 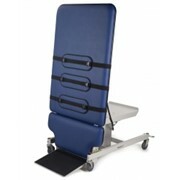 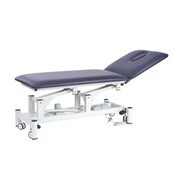 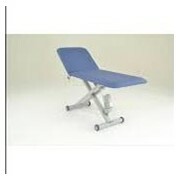 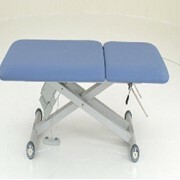 The backrest adjustment is operated by a gas strut allowing for quiet and quick patient positioning. 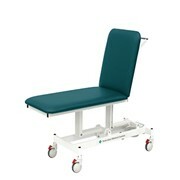 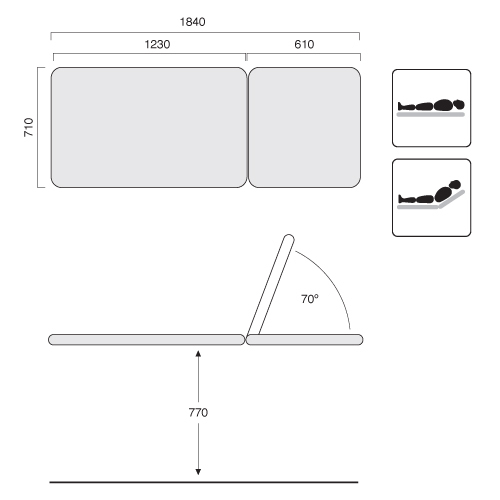 The backrest can be adjusted from flat to +70deg enabling a comfortable semi-reclined position. 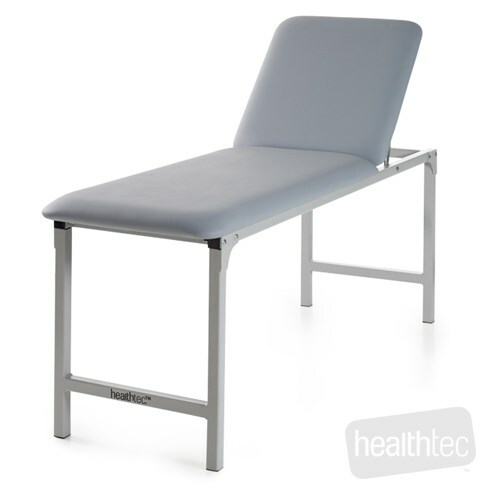 The centre cross bar helps stabilise the table minimising movement and increasing patient safety. 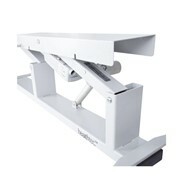 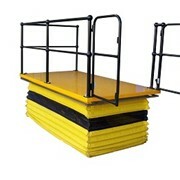 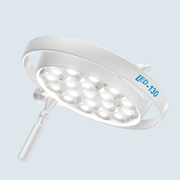 Rated with a 400kg safe working load and a fixed working height of 77cm. 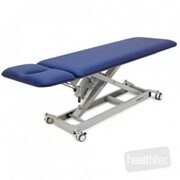 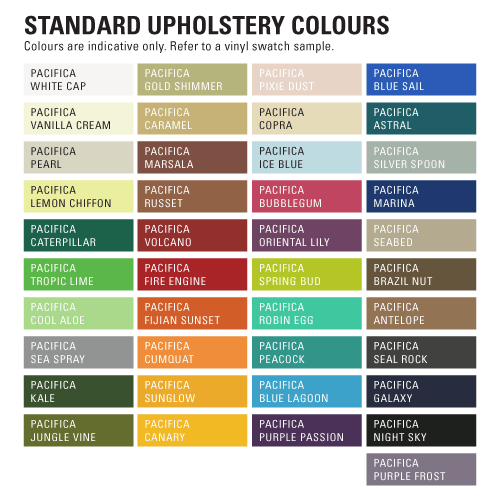 Available in Grey or Navy upholstery only. 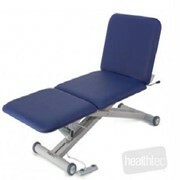 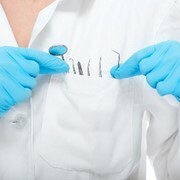 Would you like a callback from Healthtec if you don't get through?